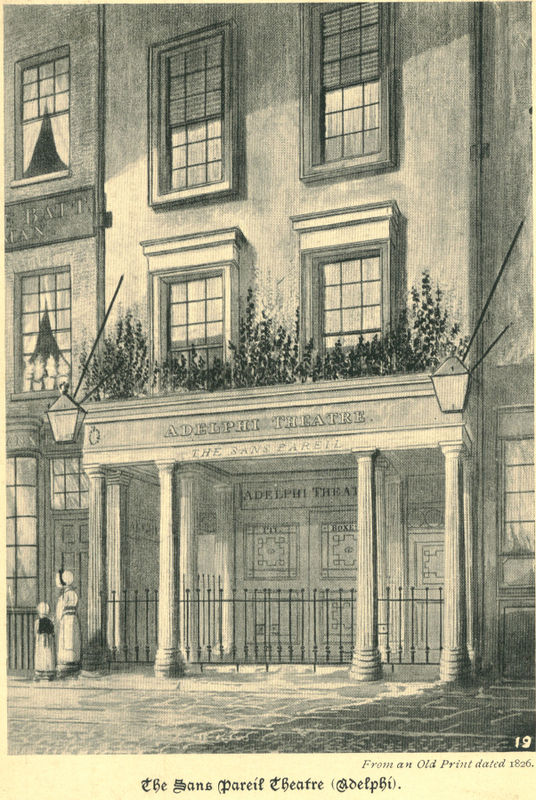 Under Terry and Yates, the exterior of the house remained substantially unchanged except for the name, which Rodwell and Jones had changed to Adelphi Theatre in 1819. 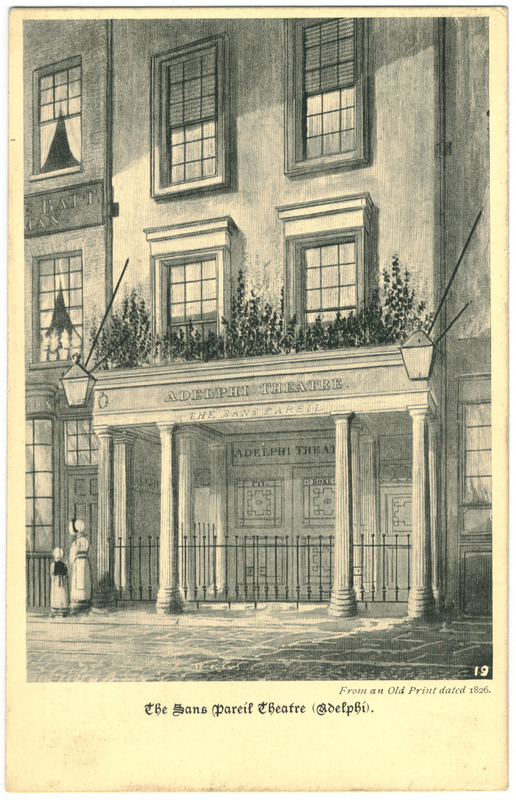 The architrave adds the words "Adelphi Theatre" over "Sans Pareil." The outdoor lanterns were repositioned and a garden added on top of the portico. We have not been able to contact Sg. Arjona.